Binder is a personalized and interactive document reader that lets you view, annotate and organize your documents from most mobile platforms. 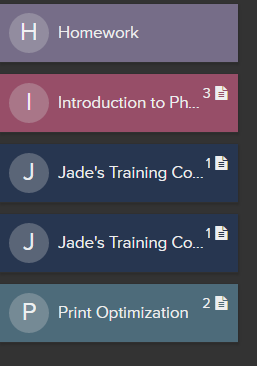 It makes it easy for students to store and view their learning materials all in one place offline. Binder is used in the content section of a course. 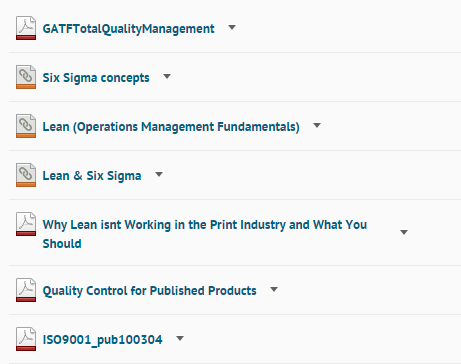 Click on the module you would like to download the material from. Select the document that you would like to download. On the bottom options while the documents are open there is an option to Send to Binder. It will then prompt you to put in your login information. 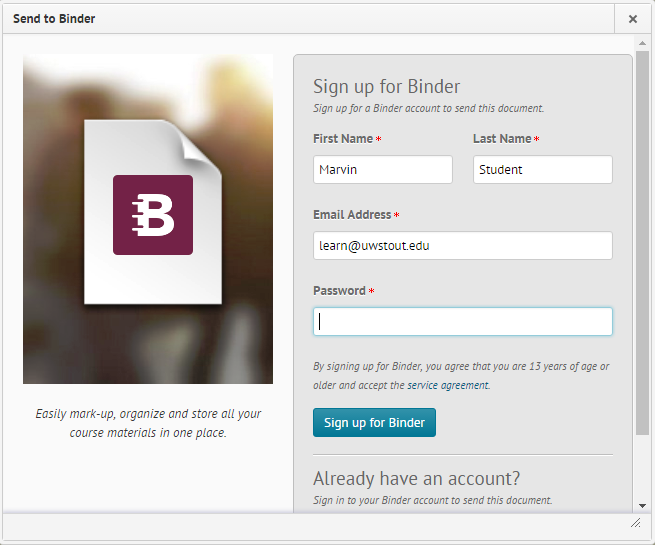 Once you click Sign up for Binder you will then have to register your account. Check your email for the verification email, if you do not see it check your junk mail. It will then take you to your binder. 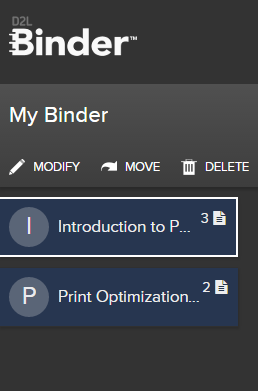 You can add more documents to binder by pressing the Add to Binder Button. In the left column you'll see the documents that have already been added to your binder. When selecting the space to the right of the title you will then get the following options: Modify, Move, or Delete. 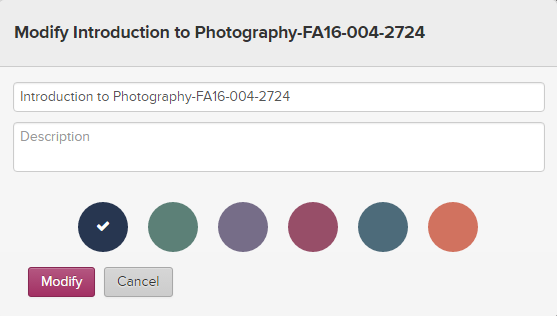 In the Modification option you have the option to change the name, add a description, and change the color. Select Modify to save your changes. Click on the collection that has the desired content. To view the content simply select the document you would like to view. 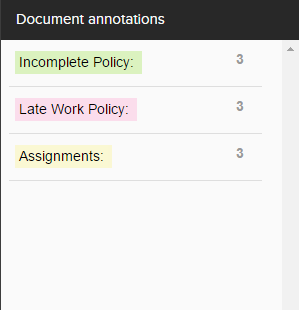 To add annotations into the document click on the annotation button in the upper right hand corner. 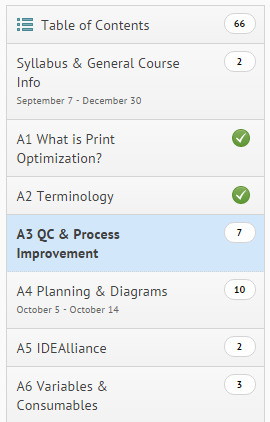 Select the desired text to add highlights to the document. You can choose to underline it or highlight it yellow, gree, blue, or pink. 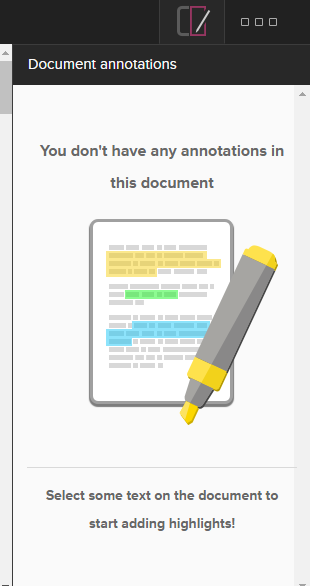 Your document annotations will show up on the right hand side. Creating new collections can help you organize your course work into homework collections, assigned readings or any other categories. 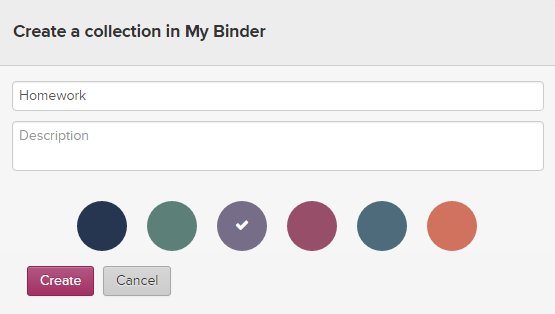 Click on the Create Collection in the bottom left hand corner of Binder. A new window will appear, type in the desired title and description for the collection. Choose a color. The new collection will appear with the rest of them on the left pane. Add which ever desired documents you want to go into the collection. Download the application to be able to access the course materials you choose offline on your tablet or ipad.